The “Building Cloud-Ready Applications” blog mentions Cloud Service Models i.e. Private Cloud / Data Center, IaaS, PaaS, and SaaS. The focus was on building PaaS applications. IaaS (Infrastructure as a Services) – Virtual Machines (total control). Managing of VM’s is our responsibility. PaaS (Platform as a Services) – Deploy Apps on Virtual Machines (underneath and less control). Managing of VM’s is the responsibility of the vendor. SaaS (Software as a Service) – Subscription for the services like O365 or Gmail for email etc. Managing of Apps, Data and VM’s responsibility of the vendor. 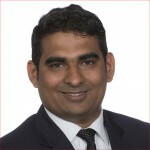 With every shift, there has been a move of “unit of scale”, and “abstracted” away from a set of responsibilities from the customer to the vendor. With data centers, the “hardware” was the unit of scale and the “physical hosting environment” was abstracted away. 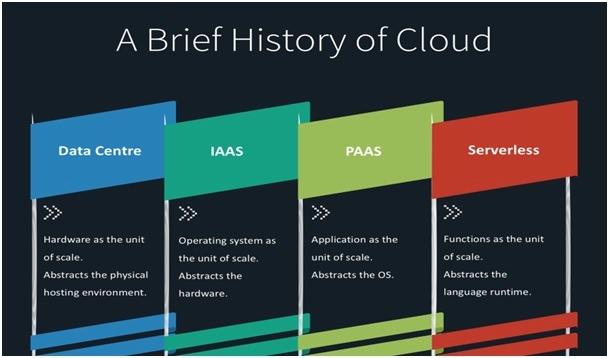 With IAAS the “operating system” was the unit of scale, and the “physical hardware” was abstracted away. With PAAS the “application” was the unit of scale, and the OS was abstracted away. With Serverless technologies the “function” is the unit of scale and the “language runtime” is abstracted away. “Serverless Computing” doesn’t really mean there’s no server. Serverless means there’s no server to worry about. Similar to PaaS, but it’s a higher level than that. With PaaS the servers are known for e.g. on deploying your Website / Application the size of hosting environment can be configured, you might scale it up i.e. more CPU/Memory/Disk or out i.e. 1, 2, n instances. With Serverless technologies like Azure Functions you can just upload the code and it will start executing seconds later. It can be a continuous jobs, functions that run on a triggered event or make Web APIs or Webhooks that are just a function with a URL. Azure Functions provide event-based serverless computing that makes it easy to develop and scale application based on demand, paying only for the resources that code consumes during execution. Details on Triggers and Binders are mentioned here. Apply Single Responsibility Principle while creating an Azure Functions. Break business logic to functions. Focus only on application and not the underlying infrastructure. Azure Functions are written in extension “.csx” file. The function.json contains the binding’s details such as cron settings for schedule etc. Minimize dependency on reference libraries. For e.g. Instead of Entity Framework use ADO.Net to perform CRUD operations. Framework Assemblies are the reference as #r “AssemblyName“. For e.g. Custom Assemblies are a reference as #r “AssemblyName.dll“. For e.g. Remember that updating the custom assemblies will require the hosting server to be stopped. Packages i.e. project.JSON file specifies the NuGet packages. Framework Assemblies are automatically downloaded based on the project.JSON file once this file is uploaded to the functions folder. Azure Function Apps have built in logging capabilities as well as built-in statistics support. Don’t use verbose logging in production code. It has a negative performance impact.